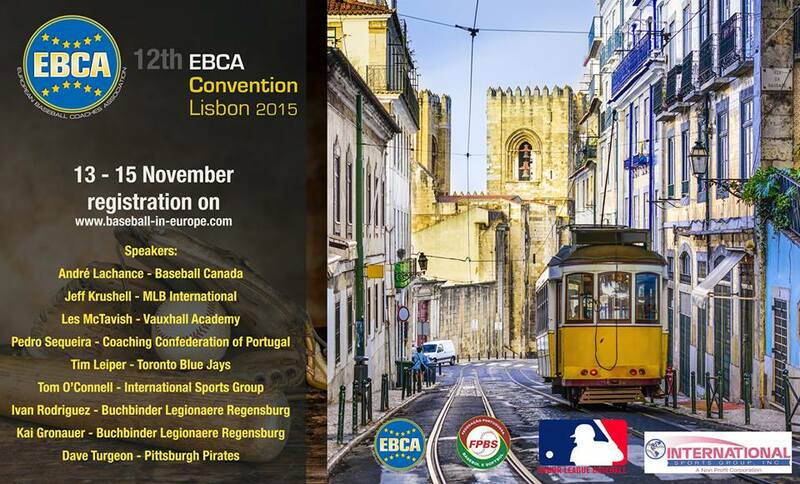 The 2015 EBCA Convention starts on Friday at Hotel VIP Executive Arts in Lisbon, Portugal. Once again the European Baseball Coaches Association has invited a strong lineup of speakers headed by André Lachance, Jeff Krushell, Les McTavish, Pedro Segueira, Tim Leiper, Tom O’Connell, Ivan Rodriguez, Kai Gronauer and Dave Turgeon. The program runs from Friday 6pm to Sunday 3pm. Sessions also include panel discussions on various topics. Additionally the award winners will be announced and honored.